Where to buy the game of What? 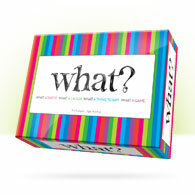 Please use the drop down menu's below to find a What?® retailer closest to you. Add your Store/Retail location to this page. Click here to sign up. This retailer provides secure online purchasing. 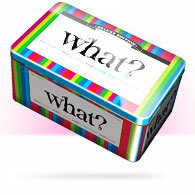 Packed with more Question Cards in a bright tin box. Perfect for gift giving or the coffee table!